As GDPR launch date is approaching fast, most of the CRM and Marketing Automation systems already released their updates with GDPR support. Even though GDPR effective date is 25th of May, I think it is only the beginning and we are about to see best marketing practices and clarifications. 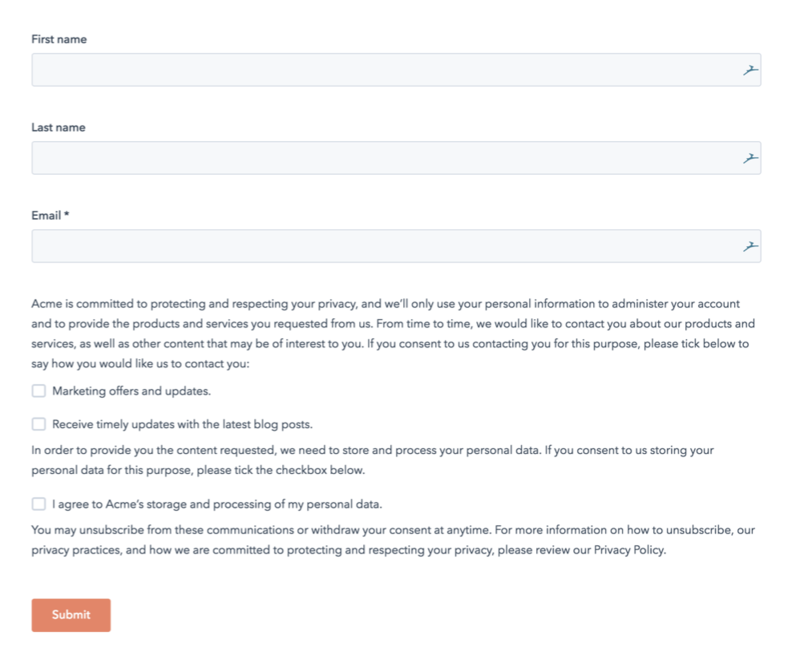 Basically, if you have a website and even theoretically can capture leads from Europe, you should comply with GDPR rules. 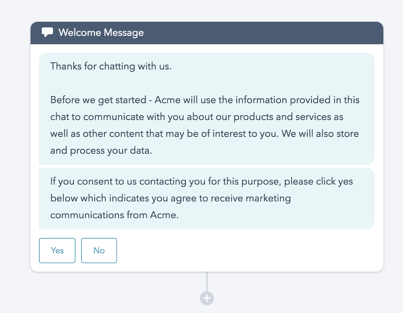 By user request, you should be able to provide customer/prospect all the information you’ve collected. 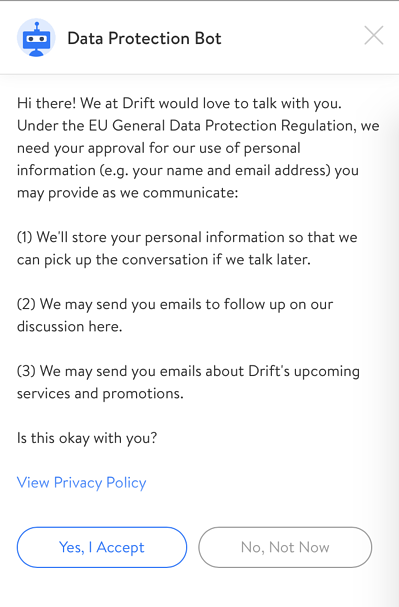 To not take the risk of being overwhelmed with requests you can add to your privacy statement something like this: "We reserve the right to ask you for proof of your identity and to charge you a fee of twenty US dollars ($20) to meet our costs in granting any data access request you make." When you collect email you should ask a person to confirm that he gives consent of his personal data processing. Most of the marketing software was updated to support that. 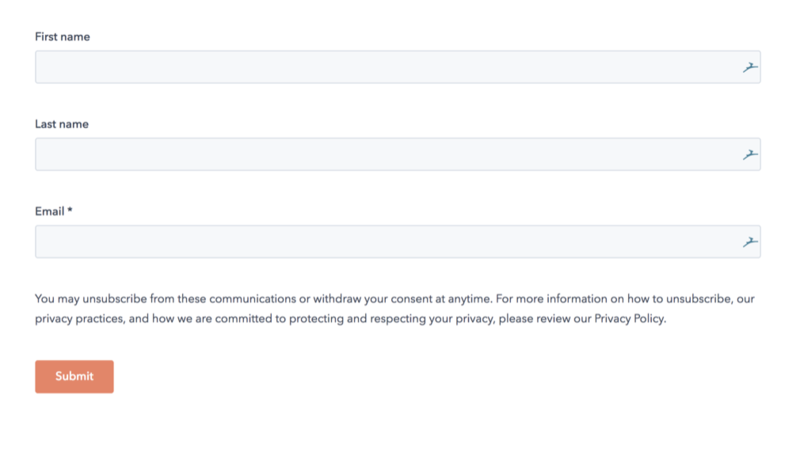 And here’s a cool option for those who can use "legitimate interest” as the lawful basis to process and communicate - no checkboxes. But first, check with your lawyer if you can use legitimate interests for your business. 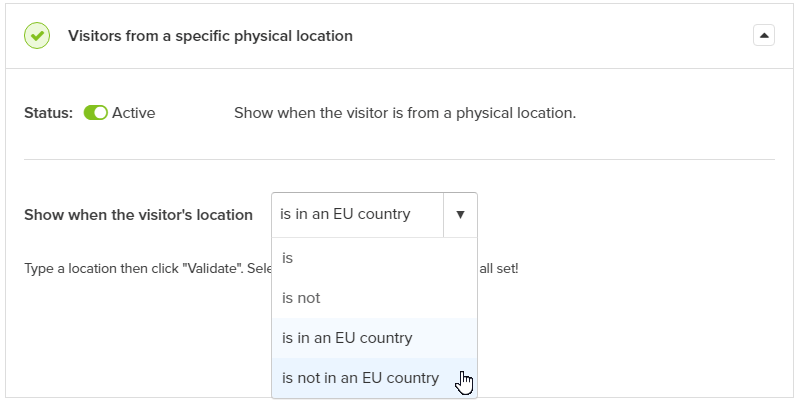 Using these rules you can create a form EU visitors with consent checkbox and for visitors outside EU the one without checkbox. Is there an alternative of adding checkboxes to the form? Yes. You can use double opt-in. The feature that is supported by most of the email services. 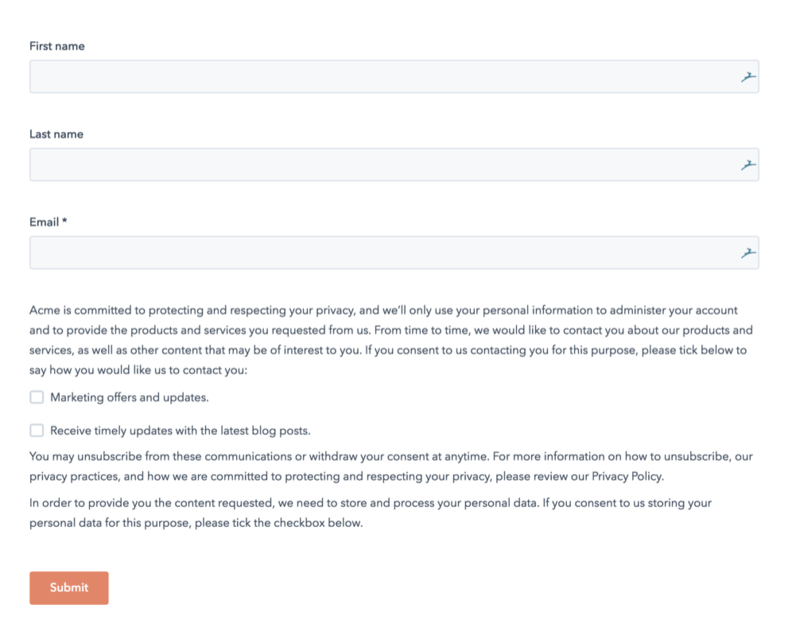 After user submits the form he receives the email asking for his consent to receive marketing or any other emails. If he doesn't click on confirmation email he is not subscribed and doesn't receive future emails. If you create a user account - you need to tell this to the customer. "You’ve recently signed up for [SERVICE NAME]. [SERVICE NAME] allows you to do 1, 2 and 3. This email is intended to help you understand how the data you have provided is used. As part of our commitment to transparency and privacy we have created an account where you can access and control the data we hold on you.